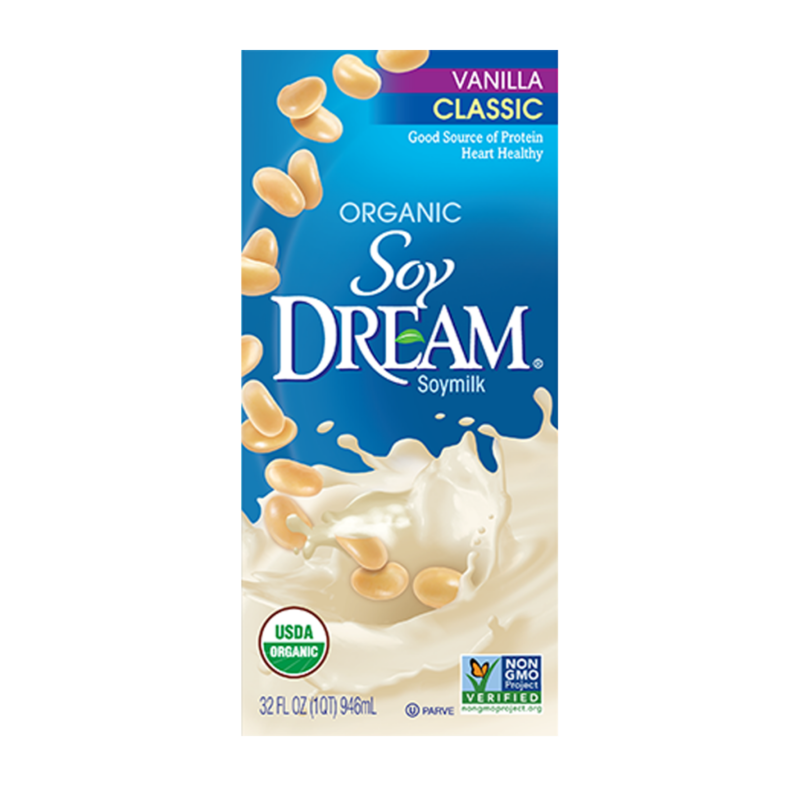 Wholesome and delicious with the perfect hint of vanilla, Soy DREAM™ Classic Vanilla Organic Soymilk is the ideal plant-based alternative to dairy. This certified organic soymilk delivers 7 grams of non-GMO soy protein and is a good source of iron and other vitamins and minerals. 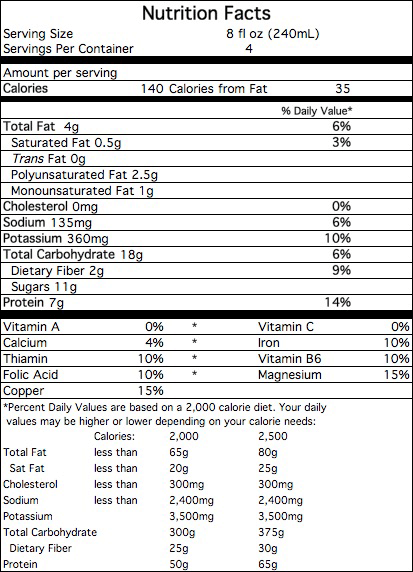 Try it on cereal, in your favorite recipe or simply by the cold and refreshing glassful. ORGANIC SOYMILK (FILTERED WATER, ORGANIC WHOLE SOYBEANS), ORGANIC RICE SYRUP, NATURAL VANILLA FLAVOR WITH OTHER NATURAL FLAVORS, SEA SALT.